SAN FRANCISCO: Clean tech companies are mobilizing their communications to take advantage of President Barack Obama's pledged investment in solar, wind, and biofuels. According to an analysis by the Center for American Progress, the more than $800 billion recovery package passed by the House of Representatives January 28 included $71 billion for clean energy programs, an additional $20 billion for clean energy tax incentives, and could create 459,000 jobs by late 2010. Paul Sherer, SVP and group director of Ogilvy's West Coast corporate practice, said the firm is advising its clean energy clients to up their media outreach, given increased interest from top-tier press, which was prompted by the stimulus proposal. On behalf of its client, SunPower, Ogilvy is communicating to decision-makers about how the solar sector could create jobs. Sherer said its messaging positions solar against other forms of clean energy, such as wind power, that might require investment and more time to develop. It is also a chance to dispel misconceptions about green energy, he explained. Other tactics include featuring SunPower CEO Tom Werner in a more prominent thought-leadership position by showcasing him on outlets like PBS' Nightly Business Report* and AP TV conveying these messages. Genet Garamendi, VP of corporate communications at Solazyme, said the biofuels company is taking a three-pronged strategy that targets business, consumer, and public affairs audiences. But the company, which works with Peppercom, still maintains its overarching message on education about its renewable technology. “A lot is just traditional PR, educating reporters, and meeting with leaders in DC,” added Garamendi. Michael Layne, partner at Marx Layne PR, said his firm is helping its wind clients, including Franklin Wind Energy Group, conduct a broader outreach to dispel the myth that wind power must be expensive. The messaging stresses that Franklin Energy uses small wind towers that can be installed on the rooftops of commercial buildings, forgoing the need to build costly wind farms. “We're at the very beginning,” he said. “We haven't launched a communications campaign, but we're mobilizing to do so in the next month to educate very targeted audiences.” Targets will include legislators and commercial real-estate property owners, Layne noted. 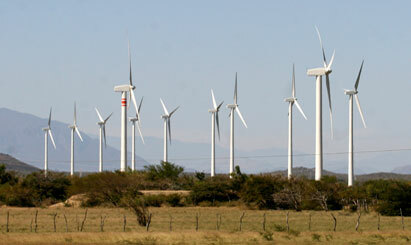 Others in the wind sector are being more conservative. Mike Bergey, president of Bergey Windpower, said the company is taking a “cautious wait-and-see posture” before it considers upping media exposure. The company has maintained a low profile because there has not been a federal subsidy for small wind turbines, which it supplies. If Obama's stimulus bill, which expands federal subsidies to include small wind, passes intact, then it will consider hiring outside communications support, Bergey said. Yet leveraging the current media climate can boost a green company's standing with audiences beyond the public affairs sector. Ogilvy's Sherer said SunPower's messaging on Capitol Hill has resonated with its other audiences, like homeowners, commercial businesses, and utilities. “It tells these audiences, ‘Solar is appreciated by people who are making the decisions,'” he said. *CORRECTION: A previous version of this article referenced NPR as one of the outlets where SunPower CEO Tom Werner was featured. That is incorrect. It should have been PBS' Nightly Business Report (NBR). We regret the error.